Okay this song is amazing... But that's not why I love it so soooo much. I will go ahead and let you know that Chen is and has always been my bias. Since the beginning. But this dance practice has opened my eyes and challenged my bias list. Who has stood out in this dance practice that has me going so nuts? Sehun. Lord, this man has just completely wrecked everything I've known about EXO. It actually started with Lotto. His solo dance? Oh yeahhhh. 10 minutes of it. You're welcome. But it isn't just Sehun. Given that Sehun has become my serious bias wrecker, there's another guy who really stood out to me for the first time EVER. This would be Xiumin. This black hair is just working for him on so many levels. 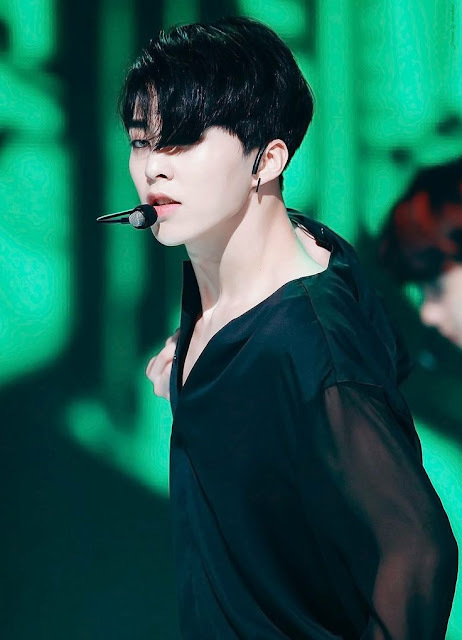 I always liked Xiumin, but I never loved Xiumin. But this comeback he is just slaying me!!!! I just love everything about this song!